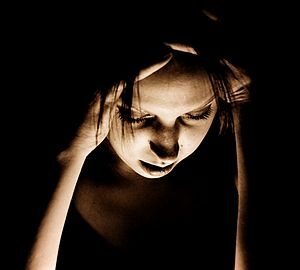 ^ 2.0 2.1 2.2 2.3 Headache disorders Fact sheet N°277. October 2012 [15 February 2016]. ^ 3.0 3.1 Scottish Intercollegiate Guideline Network. Diagnosis and management of headache in adults. Edinburgh: NHS Quality Improvement Scotland. November 2008. ISBN 978-1-905813-39-1. （原始内容存档于2011年4月19日）. ^ 5.0 5.1 5.2 Goadsby PJ, Raskin NH. Chapter 14. Headache. In: Longo DL, Fauci AS, Kasper DL, Hauser SL, Jameson J, Loscalzo J. eds. Harrison's Principles of Internal Medicine, 18e. New York, NY: McGraw-Hill; 2012. ^ 6.0 6.1 6.2 6.3 6.4 Clinch C. Chapter 28. Evaluation & Management of Headache - CURRENT Diagnosis & Treatment in Family Medicine, Third Edition (Lange Current Series): Jeannette E. South-Paul, Samuel C. Matheny, Evelyn L. Lewis:. McGraw-Hill. 2011. ISBN 9780071624367. ^ 陳威宏. 頭痛簡介. 新光醫院. [2016-03-20]. ^ Detsky ME, McDonald DR, Baerlocher MR; McDonald; Baerlocher; Tomlinson; McCrory; Booth. Does this patient with headache have a migraine or need neuroimaging?. JAMA. 2006, 296 (10): 1274–1283. PMID 16968852. doi:10.1001/jama.296.10.1274. ^ 梅約醫學中心. 濫用藥物和反彈性頭痛. 康健雜誌. 2005年8月. ^ IHS Classification ICHD-II Online. International Headache Society. ^ Brown, M.R. The classification and treatment of headache. Medical Clinics of North America. 1951, 35 (5): 1485–93. PMID 14862569. ^ Ad Hoc Committee on Classification of Headache. Classification of Headache. JAMA. 1962, 179 (9): 717–8. doi:10.1001/jama.1962.03050090045008. ^ Olesen, Jes; Goadsby, Peter J.; Ramadan, Nabih M.; Tfelt-Hansen, Peer; Welch, K. Michael A. The Headaches 3. Lippincott Williams & Wilkins. 2005. ISBN 0-7817-5400-3. ^ Levin, Morris; Baskin, Steven M.; Bigal, Marcelo E. Comprehensive Review of Headache Medicine. Oxford University Press. 2008. ISBN 0-19-536673-5. ^ Levin et al. 2008, p. 60. ^ 17.0 17.1 17.2 17.3 Abrams, BM. Factors that cause concern. Med Clin N Am. 2013, 97 (2): 225–242. PMID 23419623. doi:10.1016/j.mcna.2012.11.002. ^ American College of Emergency Physicians. Clinical policy: critical issues in the evaluation and management of patients presenting to the emergency department with acute headache. Ann Emerg Med. 2002, 39 (1): 108–122. PMID 11782746. doi:10.1067/mem.2002.120125. ^ Hainer BL, Matheson EM; Matheson. Approach to acute headache in adults. American Family Physician. 2013, 87 (10): 682–687. PMID 23939446. ^ Eric Chu CP. Long-term relief from tension-type headache and major depression following chiropractic treatment. Journal of Family Medicine and Primary Care. 2018, 7 (3). doi:10.4103/jfmpc.jfmpc_68_18. ^ 22.0 22.1 Manzoni, G C; Stovner, L J. Epidemiology of headache. Handbook of Clinical Neurology. Handbook of Clinical Neurology. 2010, 97: 3–22. ISBN 978-0-444-52139-2. PMID 20816407. doi:10.1016/s0072-9752(10)97001-2. ^ 23.0 23.1 23.2 23.3 23.4 Stovner, LJ; Andree, C. Prevalence of headache in Europe: a review for the Eurolight project.. Journal of Headache Pain. 2010, 11 (4): 289–299. PMC 2917556. PMID 20473702. doi:10.1007/s10194-010-0217-0. ^ Mattu, Amal; Goyal, Deepi; Barrett, Jeffrey W.; Broder, Joshua; DeAngelis, Michael; Deblieux, Peter; Garmel, Gus M.; Harrigan, Richard; Karras, David; L'Italien, Anita; Manthey, David. Emergency medicine: Avoiding the pitfalls and improving the outcomes. Malden, MA: Blackwell / BMJ Books. 2007: 39. ISBN 1-4051-4166-2. ^ Kunkel, Robert S. Headache. Disease Management Project: Publications. Cleveland Clinic. 2010-08-01 [2010-08-06]. ^ Levin, Morris; Baskin, Steven M.; Bigal, Marcelo E. Comprehensive Review of Headache Medicine. Oxford University Press. 2008: 60. ISBN 0-19-536673-5.